How is my service-connected PTSD linked to panic attacks? Veterans, Don’t Overlook Secondary Disabilities All too often, veterans applying for disability benefits overlook secondary disabilities and miss out on much-needed benefits they are entitled to. Veterans who suffer from panic disorder (PD) may also suffer from post-traumatic stress disorder (PTSD). The two conditions are known to be comorbid—the presence of one or more disorders co-occurring with a primary disease. According to Anxiety and Depression Association of America, approximately six million Americans are impacted by PD, and nearly eight million will be affected by PTSD. If you’re a veteran who suffers from either or both of these conditions, you may be eligible for disability benefits from The United States Department of Veterans Affairs (VA). But it’s important to hire a skilled VA disability lawyer to help with your claim. Panic disorder is characterized by recurring panic attacks that happen unexpectedly and cause people to have feelings of fear and terror when there's no evidence of real danger. Individuals may feel weak and dizzy, have difficulty breathing, and feel they're losing control. 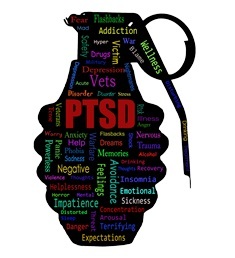 PTSD, on the other hand, is a mental health condition often triggered by memories of a traumatic or life-threatening event. People may suffer flashbacks, nightmares, and extreme anxiety about what they experienced, and these symptoms may not present for years after the event. Most individuals are able to cope with memories of terrible things that happened to them, but those who aren’t often find their anxiety interferes with daily routines and functioning in occupational and social environments. Although both PD and PTSD sufferers have” heightened sensitivity to threat,” the anxiety felt by those suffering from PTSD isn't a panic attack, even though for many it can feel the same. Instead, the anxiety occurs because the dreams and flashbacks cause them to re-experience the trauma. However, sufferers of either disorder may use “avoidance” as a way to cope and survive. For veterans who suffer from PTSD and/or PD, it’s possible to qualify for financial help. If your mental health condition is service-connected and you want to file for disability, contact Cuddigan Law. Our attorneys have been supporting veterans for years, and we’ll carefully examine your case and advise you on the best approach for receiving the maximum in disability benefits. Call us today.